Lose important data after factory reset of your iPhone? Lose important data after factory reset of your iPhone? Stop panic, here’s the solution for you to get back vital data after factory reset of your iPhone. My iPhone got factory reset by someone fixing the screen, is there a way to recover and data, specially photos. Please help!!! Thanks!!! There is no doubt that advanced electrical device are also perceived as weak, because there’s always a great number of unexpected reasons can cause equipment failure. Like power failure, system bankrupt, screen frozen or other various factors. What’s worse, you may lose crucial personal data unfortunately. What would you do if you lose important data after factory reset of your iPhone? Actually, you can turn to iFonebox for help if you don’t have a better option. As a professional and outstanding iOS data recovery software, iFonebox is able to recover up to 17 kinds of data from iPhone, iPad or iPod touch. It makes no difference whether your device was lost, broken, crashed, or wiped due to upgrading, there’s always a great chance for you to retrieve data without having to do so much. Here are some of the main features of this wonderful tool. 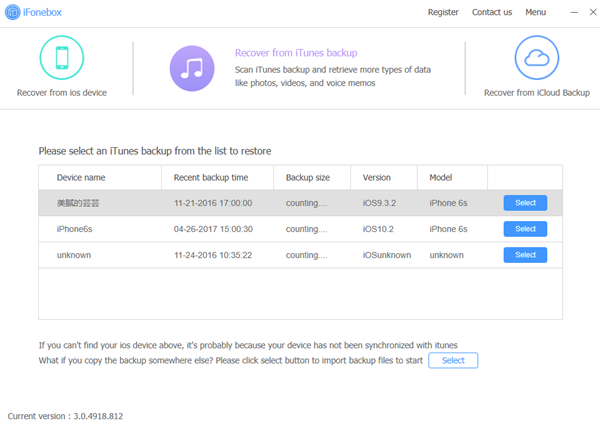 Once your important data is missing after factory reset of your iPhone, the first thing come into your mind is that get them back from an available backup. However, as we all know, Apple doesn’t provide backup isolation service for you. To ensure you get the right file, iFonebox can scan deleted or lost files and allow you to preview your selection before you start the data recovery operation. 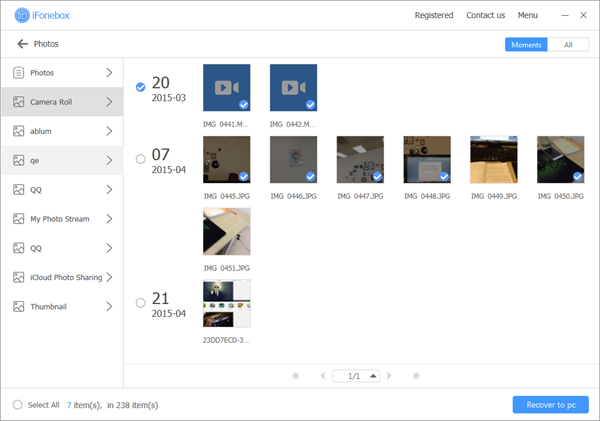 By previewing, both the lost files and the existing ones are visible. Sound cool, isn’t it? After testing iFonebox millions of times, we guarantee it is safe to your iOS devices and data. It works exceptionally well on almost all iOS devices, and the operation interface is intelligent. If you also get into the trouble that important data is gone after factory reset of your iPhone, please follow the instructions to get them back.